Posted April 10, 2014 by John Gooding & filed under City Hub. Caltex has been issued a clean-up notice by the Environmental Protection Authority after an oil spill from a Caltex refinery in Botany Bay spread to nearby beaches last month. The clean-up notice requires Caltex to nominate “ecological practitioners” to analyse the extent of any pollution along the shores affected by the spill and monitor their recovery. Caltex did not respond to questions about whether the incident was damaging to the environment. But a spokesperson for the company did state, before the clean-up notice was issued, that the “small release of oily water” was due to heavy rain. “Caltex immediately notified all relevant authorities before containing and dispersing this sheen in conjunction with Sydney Ports Corporation,” the spokesperson said. 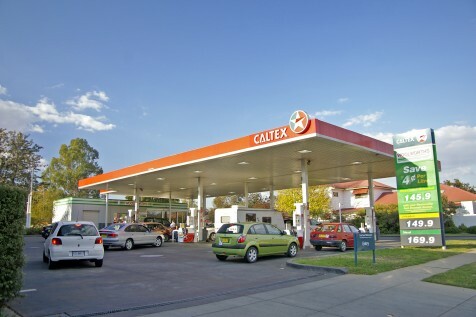 In a media release, the EPA’s chief environmental regulator Mark Gifford said Caltex will have to undertake an ecological assessment as a result of the notice. “Our officers and members of the community observed oil on rock platforms and in the sand at Congwong and Little Congwong Beaches,” he said. Gifford also stated that this notice could be the first of many issued to Caltex as a result of the spill. An EPA spokesperson said that the authority had investigated the Caltex site four times in the past five years over issues arising from stormwater. “The extent of wastewater discharge investigation and works already completed to date are an EPA direct requirement resulting from the past incidents,” the spokesperson said. They did not comment on how the Kurnell Refinery’s record compared with other Australian facilities. The Nature Conservation Council of NSW (NCC) claimed that the refinery was a “repeat offender” which viewed penalties for breaches of their pollution license as a “cost of doing business”. “The oil spill is the latest in a litany of pollution breaches at the Caltex refinery,” the NCC’s chief executive Pepe Clarke said. If the refinery does not comply with the clean-up notice it will face a $1 million fine. The refinery has breached its EPA license multiple times every year since 2000. This is not the first incident of pollution to affect the area in 2014, with a mysterious plume of water with high iron content staining a square kilometre of Botany Bay orange in February.